As regular readers of this blog know, dermaviduals is always on the lookout for the latest innovations in skincare. To get our attention, any new kid on the block needs to demonstrate a significant body of proven scientific evidence that validates its use. Napthaquinones – provide antibacterial and antifungal properties while strengthening connective tissues. Iridoids – anti-inflammatory and immunomodulating properties. Caffeic acid – anti-inflammatory properties. Phytosterols – strengthen and repair the skin barrier and soothe a number of skin conditions, including eczema. Flavonoids – stabilise superficial capillaries and connective tissues, and have hygroscopic, fungicidal, antioxidant properties. Steroidal saponins and ruscogenin – tighten connective tissue. Kiwi Seed Nanoparticles to provide additional anti-inflammatory support. Butcher’s Broom Serum nanoparticles to strengthen capillaries. Boswellia Nanoparticles to slow collagen degradation. Phytohormones (vegetable hormones) to provide all the above benefits. 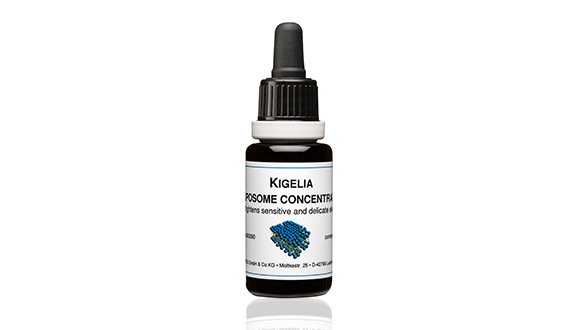 Ask your skin treatment therapist how Kigelia in your customised serum can benefit your skin. You may laugh when you hear the name Sausage Tree. Funny though the nickname may sound, Kigelia Africana yields a powerful fruit extract that has helped generations of women in Africa tighten delicate and sensitive skin on the face and body. Women in Africa’s Zambezi valley have used Kigelia preparations on their faces to ensure a blemish-free complexion. Kigelia Africana also has a rich history of medical use. Healers use bark from the Kigelia Africana tree to treat skin conditions such as boils, psoriasis, and fungal infections. It is also used to dress wounds and sores.